According to a recent Google survey, 65% of consumers are interested in a messaging service that allows them to connect with businesses to get information about their product or service or to schedule an appointment. Why wouldn’t they? They are already searching for businesses on their mobile devices. Why not allow them to take their searches to another level too? 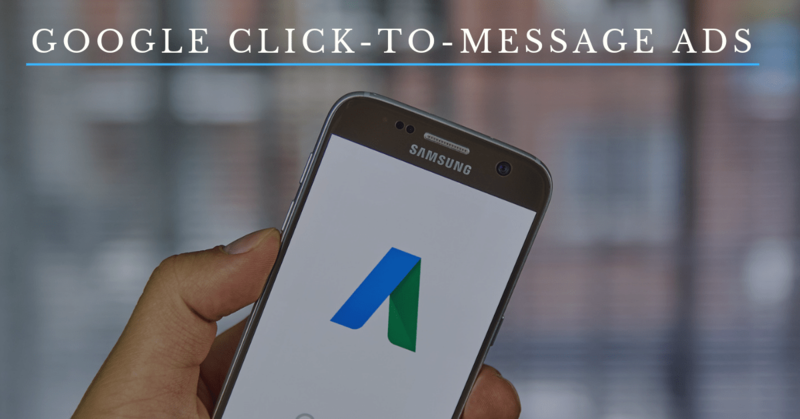 Earlier this month, Google announced that it would be unveiling its Click-to-Message paid ads. Companies employing PPC ads in their internet marketing campaigns will be able to access them by setting up message extensions in Google My Business accounts. “Tapping on the texting option launches a user’s SMS app with a pre-written message tailored to the product or service they’re interested in,” said Google in their blog. Google has successfully tested the functionality with a number of current online advertisers, including TravelPass Group and AmyVan. The results, they claim, have been phenomenal. Google argues that the rates of conversion have been 80% higher in comparison to other similar channels. 2. Pick Messaging located in the left menu and then add/edit your phone number. 3. 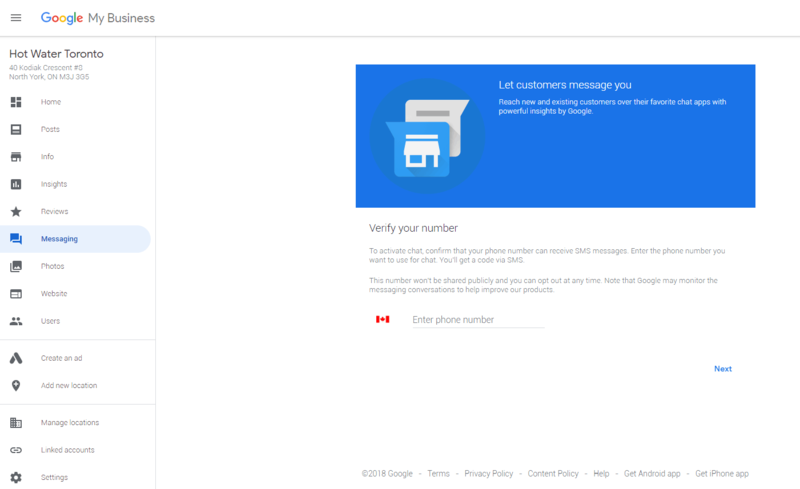 Verify your number with a code sent by Google. 4. Searchers can now text your business when they have a question or want to book an appointment. One of the reasons that online consumers want to connect with businesses via text is that they feel it is a quicker, more efficient method of communication. But that is only true if the business offers timely responses. Keep your response time within 1-2 hours unless it is outside of business hours. If you do not consistently respond to messages in a timely manner, consumers will know because Google posts average response times on both your Google My Business Listing as well as Google paid ads. This might seem obvious, but it is one of the forgotten rules to proper customer service etiquette. Companies should never make requests for sensitive information (e.g., credit cards, banking information, or social security numbers) over text. While text messages seem secure, the information is not encrypted, so the data may be vulnerable. Texting with your customers will help you build stronger more loyal customers. To help speed up the process, try sending them an eCard with your contact information on it. If customers have access to your phone number and email in their contacts, it removes one of the steps in the customer buying process. iRISEmedia is an internet marketing company located in Toronto that focuses on helping clients in Canada, the U.S. and globally with digital marketing services consisting of social media marketing, website design, SEO and SEM, app development, online reputation management and online PR. Our team helps clients manage and grow their online presence and branding to increase their social media presence, qualified web traffic and online leads. For any internet marketing needs or inquiries, please contact us today at 1-855-493-3622 or visit us on our website.